Vora Technology ParkBig Brothers Big Sisters Run 4 Kids 5K is less than two weeks away, but there’s still time to get involved! Many people in the community have been coming together to make this year’s event successful. Some of our participants have been very creative in forming teams and raising money. We would like to highlight a few of our community partners with the goal of inspiring more people to get involved. Barclaycard supports our mission in many different ways. Recently, they have been all in for Run 4 Kids! Their team already has 35 members who are registered and raising money and they are quickly approaching their fundraising goal! They have gotten very creative in finding ways to raise money. For example, several Barclaycard employees are mentors in our Site Based Mentoring program at Riverview Elementary in Hamilton. One week at the mentoring program, the Big Brothers and Sisters and Little Brothers and Sister created key chains that were then sold to Barclays employees. The employees also recently held a bake sale. All proceeds from both these efforts were added to the Barclays Team Run 4 Kids fundraising page. Great job, Barclaycard! Thyssenkrupp Bilstein is another generous, long-term supporter of Big Brothers Big Sisters. This year at our Annual Celebration Thyssenkrupp Bilstein was recognized with the “Friend of the Agency” award due to the long-term and varied ways they are involved. One of their own, Jim Fogle, currently serves as president of the Big Brothers Big Sisters Board of Directors and is the top individual fundraiser for Run 4 Kids! Thyssenkrupp Bilstein has pledged to match all the donations from their Run 4 Kids team! Thank you, Thyssenkrupp Bilstein! For the third year Roger Martin, also a Big Brothers Big Sisters Board member, has created Team Remembrance in memory of his brothers. Roger encourages his friends, family and co-workers to join his Run 4 Kids team or donate to the team in memory or in honor of loved ones. Roger is a Fairfield City Schools employee so many of his team members and donors are Fairfield City Schools employees and have participated for the last two or three years. Roger’s Run 4 Kids team has 21 members and is currently our top fundraising team! Keep it going, Fairfield City Schools employees! https://give.classy.org/run4kids, and sign up or donate to a team today! Registration for the 5K is $25 and for the Kids Fun Run is $5. Starting Sunday, April 15, the 5K registration fee will increase to $35. 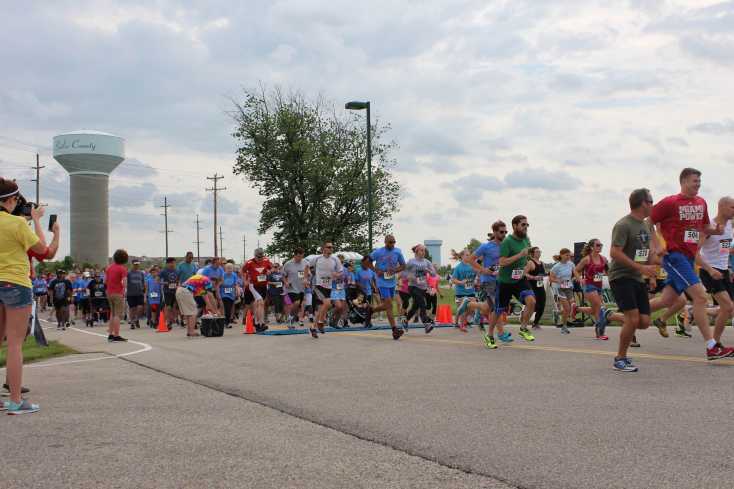 All proceeds from Run 4 Kids will help Big Brothers Big Sisters of Butler County find, screen, train, match and supervise new volunteer mentors for some of the 165 local children currently waiting. For more information, please contact Molly Jones, Development Coordinator, at 513-867-1227, 513-424-3397or molly.jones@bbbsbutler.org.